mike, 28 Aug 2008I am a total gadget freak and I love my 6310 but after many years faithful service I'm about t... moreHai Mike, i m George from Brunei i own a 2002 Benz ML55, when i bought d car, it comes with a built in Nokia 6310 with charger beside the transmission gear. Unfortunately i lost d phone, now i end up with a hole beside d transmission gear. 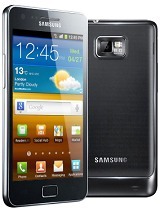 Do u mind selling yr phone to me, kindly pls email me georgelcb@gmail.com, i really appreciate. with 6210 best phone ever made !!!! how can people say this woz a gud fone????? no camera or mp3 player or bluetooth or nothin! i had dis fone 5 years ago,,and i never want 2 see it again..
the best ever made by nokia and we will not see again . This is the best phone I never had in my life, I still have it since 2001. The battery last for almost a week. I hope that I will keep it for 3 more years. I wish this phone was still available. I had one and it was the only phone I ever had that did not give me any problems! If this phone comes onto the market again, I will take it immediately. 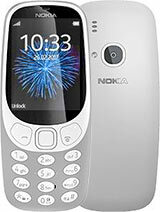 verry verry smart phone ,i ever seen,now it is called rare piece frm nokia,i has two 6310i,n i'll buy 3 @ price 7,000rs. I have had my 6310i for years and keep getting it out when my new phone pack's up this phone is the best. This is THE PERFECT phone ever made by NOKIA!!! this was my 2nd cell phone purchase and I loved it. It is a solid phone with features some new phones still lack today. If you have one enjoy it, and if you have original accessories keep them close. As for me, I'm purchasing a second one and a 6340i for back up. very good phone way ahead of it's time i've been using the 6310i for 2 year's now and i'm very happy, they just don't make phones like they used to.